Time to be honest. I don't really like cooking. I like the idea of cooking. And I really like eating. I just don't like the actual mess that comes along with cooking. That being said, I do really like cookbooks. Go figure. 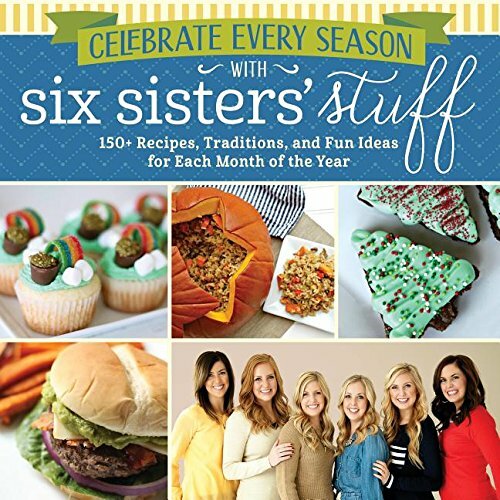 Some of my favorite cookbooks come from Six Sisters' Stuff, and their newest one, "Celebrate Every Season" does not disappoint. This book gives you some fun traditions for each month of the year, and is packed full of yummy recipes. I'm happy to be able to give away a copy of this book to a lucky Literary Time Out follower. Entering is easy. Just use the Rafflecopter form below. The winner will be selected this Wednesday, December 13th, and notified by the contact information used to enter. If I don't hear back with a mailing address by Friday, December 15th, a new winner will be selected.